CRW-S Weather Receiver | Gorman Redlich Mfg. Co. 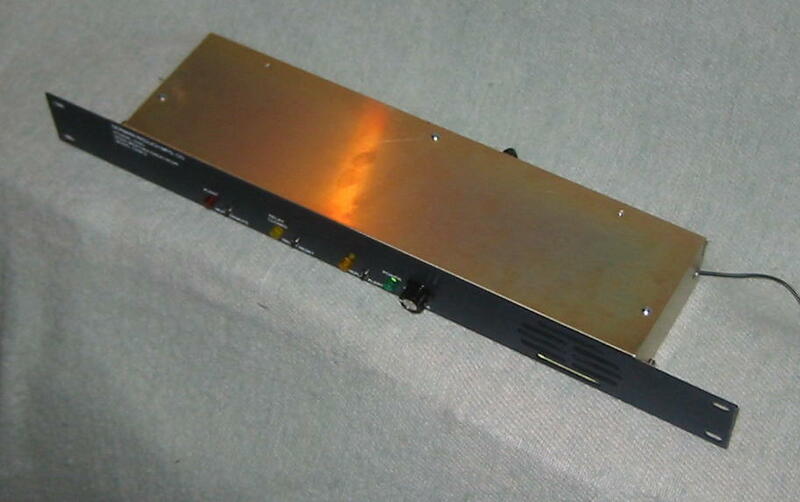 The Gorman Redlich Model CRW-S Weather Receiver is a highly sensitive and selective receiver for National Weather Service (NWS) transmissions. It’s equipped with a SAME decoder and a digital tone decoder that processes the 1050 Hz signal tone for automatic audible and visual alarm signals in the event of emergency situations. The Model CRW-S has rear terminals for wired remote control and a coaxial connector for external antennas. The unit also supports external equipment, monitoring and logging, and configuration via the rear-panel RS232 serial connectors and relay contacts. The optional LED signboard displays incoming warnings addressed to your area in red for the duration of the alert or until a new alert is received. Watches are displayed in yellow and recieved test messages are displayed in green and are displayed for 15 minutes. This great feature provides visual alert information, perfect for installing in hallways, offices or where the radio is installed in a remote location. Remote installation is further enhanced with the optional remote control front panel which duplicates front panel functionality. The 1050 Hz will close a relay in the Model CRW-S receiver. The 1050 Hz tone will also demute the receiver, activate a flashing LED and cause the NWS audio (600 ohm at 0 dbm) to be gated to a pair of rear terminals which can be used for remote alarm. Continuous audio is also available (600 ohm at 0 dbm) with another pair of rear terminals and may be used for recording. The F.C.C. has authorized AM, FM and TV stations to rebroadcast weather transmissions originated by the NWS provided that commercials in connection with weather broadcast do not convey an endorsement by the government. The CRW-S is easily configurable using the Microsoft Windows-compatible Gorman-Redlich Setup Software, although the units ship directly to you pre-programmed from the factory – so it is ready to install and start protecting your building occupants or audience. Weather receiver is supplied with all of the (7) frequencies listed; switch selectable, frequency synthesized, and crystal controlled. Relay Closure: By 1050 Hz tone signal remote switch or front panel switch. Demuting: By 1050 Hz tone remote switch or front panel switch. Rear Terminals: Remote mute/demute activated by momentary contact closure.Remote relay reset activated by momentary contact closure.